Jared is a respected thought leader in the Payments Industry with 14 years of industry experience. As the Director of Business Intelligence for TSG, Drieling is involved in a variety of strategic marketing initiatives, buy/sell-side advisory engagements, client project and consulting efforts, and business development across TSG’s Analytics and Research division. He has significant expertise in synthesizing and communicating actionable insights and intelligence to clients having spent most of his career in market intelligence payments roles. 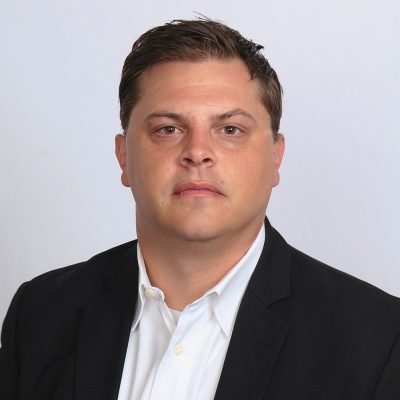 As a payments industry thought leader, Drieling has presented at a wide range of industry, client and academic events, as an expert on the industry in emerging areas such as mobile payments, cloud-based POS systems, IoT payments and omnichannel strategies and has advised government entities, such as The White House, on industry public policy. Jared is also instrumental in TSG’s media relations and has been frequently quoted in mainstream media outlets such as the NY Times, WSJ, NBC, MIT Technology Review, Forbes and Digital Transactions. Prior to joining TSG, Drieling held strategy and product management positions during his ten-year tenure at First Data. While at First Data, he developed and launched First Data’s first international market intelligence team under the Corporate Strategy group and managed First Data’s SpendTrend product under the company’s Information and Analytics Group. Drieling was also highly involved in major strategic initiatives such as partnership exploration, mergers and acquisitions, and international enter and exit strategies during his time at First Data. Drieling completed his undergraduate degree at the University of Nebraska – Omaha with a major in Journalism. Jared is married to his high-school sweetheart, has a daughter, and shares his family with a black cat and Doberman. On the side, Jared is a “Vette” aficionado and enjoys his need for speed.